If not, then now is the time to do so! This is a leading cause of house fires! Does your dryer takes longer and longer to dry your clothes? Then your dryer vent needs to be cleaned. 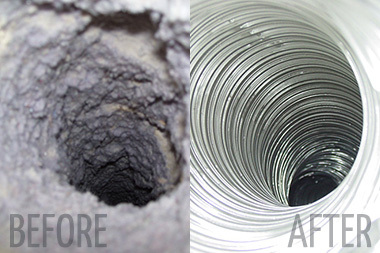 It is a good idea to have your dryer vent professionally cleaned on a regular basis. Give us a call to have your dryer vent professionally cleaned and we can set you up on an automatic reminder to conintue your service.